Air hockey game is played on a low friction table where two players play against each other using strikers and a puck. The game was invented in 1969 and it is played on a special air hockey table. The table is expensive and it requires quality maintenance. For that reason, its surface is sometimes replaced by a slick table surface such as plastic. Although it is very different from the original ﻿﻿﻿air hockey table, it is still referred with the same name since it serves the same purpose. The air hockey table uses a mechanism of a large smooth surface that has tiny holes providing an air cushion that reduces friction when playing. Additionally, it increases the players' playing speed. Moreover, it is surrounded by a rail, which prevents the puck and puddles from falling off the hockey table. The rail has slots on either side that serve as the goals with each having a puck return. Additionally, the table has pucks that use batteries and fan to help generate their own air cushions. These pucks are highly prone to breakage and are hence sold as toys. The air cushioning mechanism on both the table and the pucks ensures that the air hockey table has minimum friction. 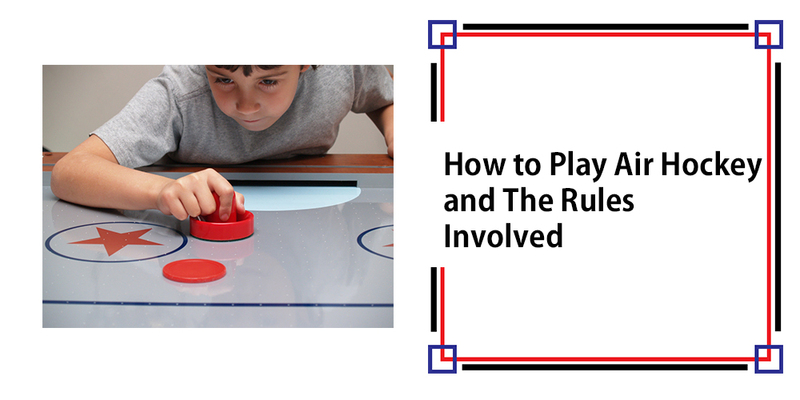 The United States Air Hockey Association (USAA) and the Best Air Hockey Players Association (AHPA) only allows an 8-foot table to be used. This category covers all Gold Standard Games 8-foots tables and the original Brunswick 8-foot table. In other circumstances, some 8-foot Dynamo tables are also approved. The associations special requirements block out all flat surface tables with flashing lights, painted rails, and use the smaller puck. However, you can use these to learn how to play the game and shift once you have mastered. The goalie is also known as the striker, paddle, or mallet and has a simple handle that is attached to a flat surface. The handle enables the striker to lie on the table surface. The high-top paddles are the most common although flattops can also be used with shorter nubs. 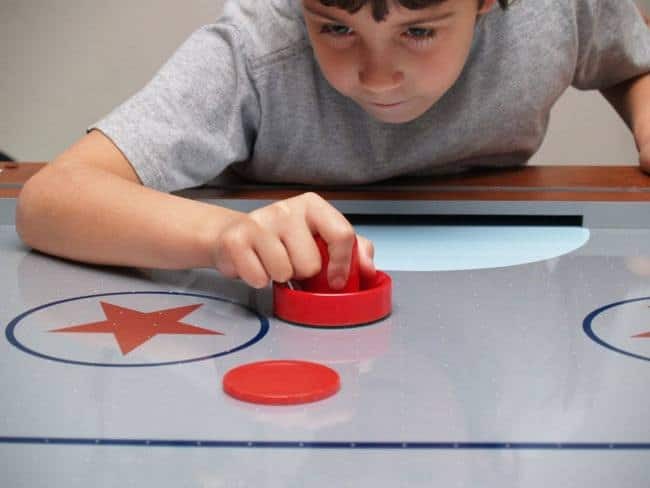 Air hockey also uses pucks that come in different shapes including circular, triangular, hexagonal, and octagonal and square. The USAA and A﻿﻿HPA approve only of green, red, and yellow colored pucks. A coin is tossed to determine sides and the puck possession before you start the game. The coin toss winner chooses either the puck possession or the side he wants to begin. The player who gets puck possession first is the one who begins the game 3, 5, and seven with the puck while the opponent plays 2, 4, and 6. Like any other game, air hockey has a set of rules that must be followed. The player who accumulates the set score or simply has the highest points when the game ends is the winner. If the puck happens to enter the player's goal, the opponent gets a score. Players alternate table sides after completing every game. At any given minute, only one puck should be in play. Only one mallet per player is acceptable on the surface. The loser receives puck possession in the next game. Palming occurs if any body part of the player touches the puck as the game proceeds play. Doing so means it is a foul game. One time out for a player is acceptable per game. You can only exercise when you have puck possession. 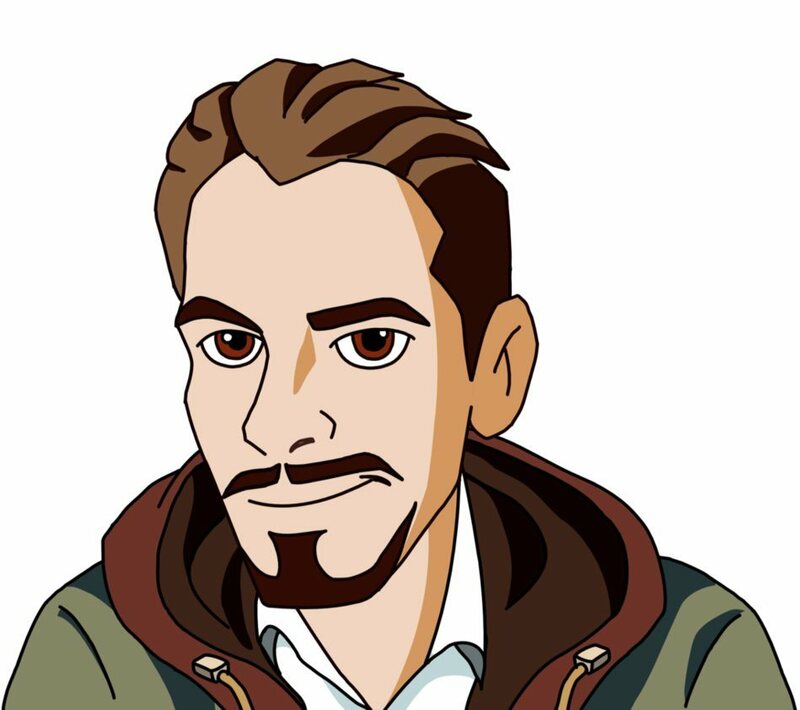 Additionally, you must make clear indication so that your opponent understands that you need a time out. You can stand anywhere as long as it is on your side of the stable provided you do not pass the centerline. You can hit the puck using whichever mallet part you want. You cannot “top" the puck if you lift the mallet & then place it on top. You have only 10 seconds to take the puck and place it on play when you are scored. You have to play on the table’s surface, the rails' walls, the goals interiors and front faces, and your mallet. If the puck happens to touch any other object other than these, whether accidentally or by fouls, then you have to consider it out of bounds. This is unless the players nullify the foul. If a puck grazes on the rail surface, then you automatically consider it out of bounds even if it happens to returns to the surface of the table. You can only call for a time out if you demonstrate puck control whereby if a puck breaks the vertical plane of the goal face, then you consider it out of control. Although only one time out is allowed during the game, you can request a second in case someone suffers from an injury. Interference during scoring automatically nullifies the score. In this case, the interference may be an object on the table’s surface in which case the puck goes back to the one who had it prior to interference. If the puck gets out of the playing surface & touches anything else other than the player's mallet, then it is suspended until it is returned to the play. A score occurs when the puck happens to stop in the goal, tilts, and breaks the horizontal lane. If, however, the puck does not tilt or pass the horizontal lane, you might choose to hand it over to the opponent or use legal play methods to take the puck from this position. A puck that hit the goal and bounces back or hits the goal bounces back and hits the defender's hand before getting back in the goal does not count as a score. If the puck hits the opponents hand when entering the goal and as a result misses, then that automatically counts as a score if the puck would've scored without the blockage. If you accidentally drop the mallet resulting into the pack entering your goal, then this automatically counts as a score for your opponent. If you do a foul and as a result, you are scored, then the foul undergoes nullification, and that counts as a score for your opponent. If you are not a limited budget, then you can go for a larger table which is more heavy duty and suitable for both adults and players. Air Hockey is a fun game and owning a table will help you practice to the point of becoming a professional player.